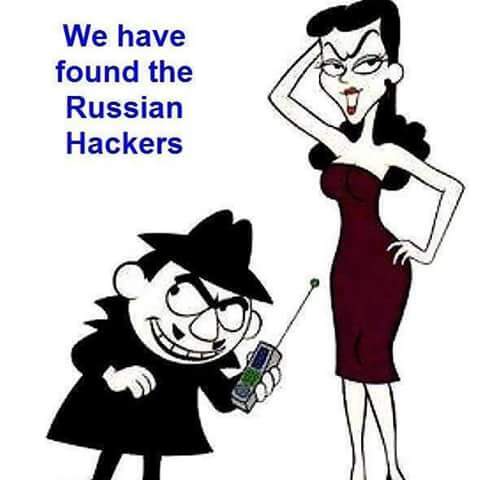 Russian hackers involved in election hacking discovered..
Natasha: Boris you should be so proud. She lost election. Boris: Cannot take credit. They did not need our help. That’s what I’m hoping for with our new president.